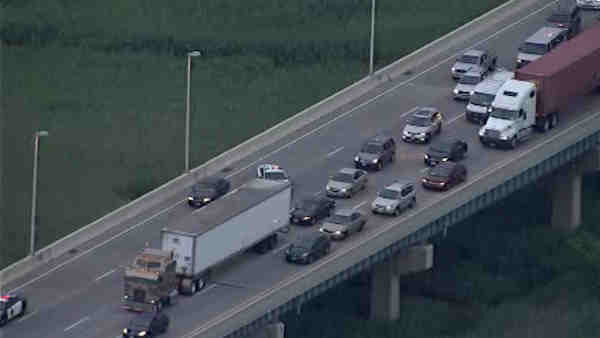 EAST RUTHERFORD, New Jersey (WABC) -- A fatal accident that closed westbound Route 3 in East Rutherford was a suicide, police said. The wreck happened at 5:05 a.m. According to the East Rutherford Police Department, a man in the passenger seat jumped from a moving vehicle on Route 3 just east of the Route 120 turnoff. Police found him in the roadway and CPR was performed, but he was pronounced dead at the scene. The victim has been identified as Jorge J. Torres, 27, of North Arlington, N.J. The cause of death is suicide, police said. The driver of the vehicle had no motor vehicle or criminal charges against him. One westbound lane had reopened by 6 a.m. but there were backups throughout the morning commute.